I love print fabrics and am drawn to them. 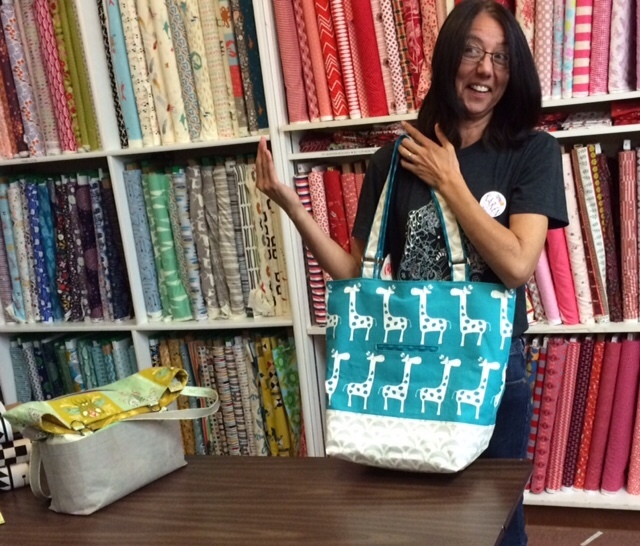 But that sometimes means a design has to work around the graphics and determine the size or shape of a bag. 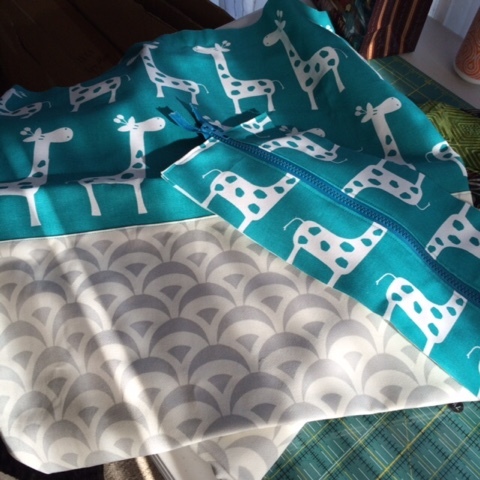 So instead of trying to follow a bag pattern I just used some basic bag making concepts from the recently made 3-in-1 Betsy Bag and Bonnie Bucket Bag to sew this tote for my nieces' baby shower. I took the bag for show and tell or should I say show and talk - goodness knows exactly what I was saying to get this expression! Photo credit (or blame,ha ha) goes to Renee. There was no way I was going to cut off the head of those adorable giraffes. About half way through it dawned on me that maybe there was enough space for a welted pocket on the outside. In my stash I found the ta dots. Not only was it the perfect color but mimicked the spots. 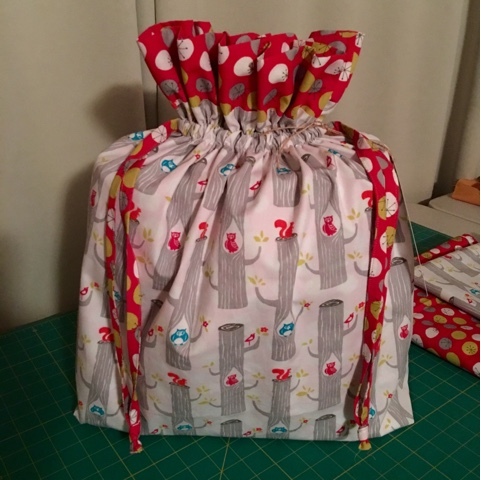 Rather than wrap the present in paper, I jumbo sized the self lined drawstring bag large enough for the tote and other gifts. 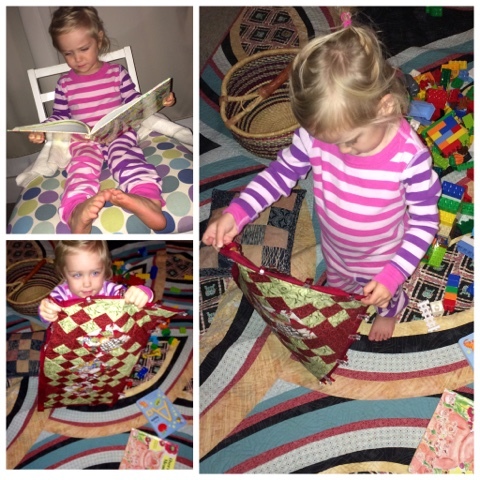 Originally I had high hopes of sewing them a quilt out of the Birch Organic print and a reusable bag seemed like a nice alternative. The shower was amazing. This baby is going to be surrounded by so much love and wonderful creative people. Both bags were a big hit. Added a softer place to rest baby's head although the Tula is surprisingly soft. No surprise that I also tweaked the dimensions. After all the much coveted Prince Charming laminate ruled the design. Centering the frog and slicing straight between his eyes (ouch) made it wider, giving the baby some more wiggle room. 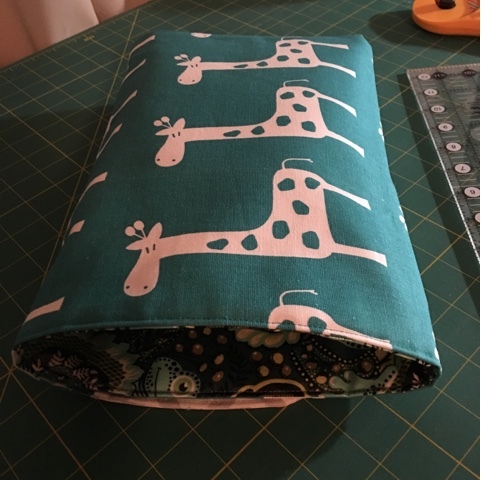 The bag is two giraffes tall and the mat one. She called to thank me the minute it arrived. Altering also threw off the fit of the pockets when folded but I think it still works with an offset fold. I chose the thinnest button to avoid a bump under baby's bum but not too small to annoy a mom juggling a dirty diaper. Officially done with one WIP as the New Year began and finally getting around to blogging about it, yeah! Most of the progress was done with the cheering of #fridaynightsewalong on IG. 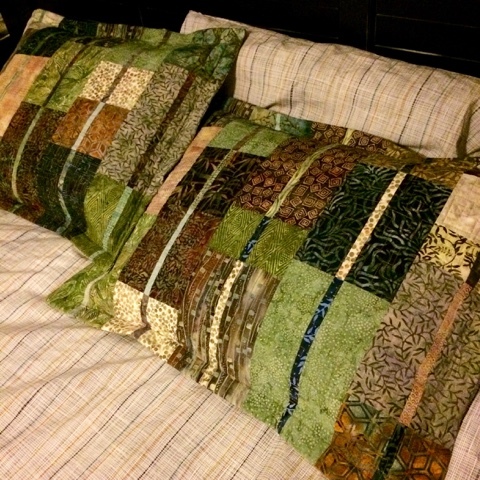 Two pillow shams to match the wedding quilt Redwood Grove gifted to my niece and her husband. Here they are on my bed testing out the fit. The disadvantage of putting off a companion project is having to find all (or most) of the coordinating fabric and trying to remember the thread color and style to quilt it in. With the help of some pictures(below) I think I pulled it off. The shams photographed dominantly green for some reason but there's blue in them too. Now that my partner Amanda has received and acknowledged the pillow and goodies I can share it here. She requested a red and white Christmas as the theme. The high contrast 40wt Aurifil was kinda scary especially on the white because I typically try and blend in. I think it adds so much with the loft of the batting that it was worth taking a chance and holding my breathe. 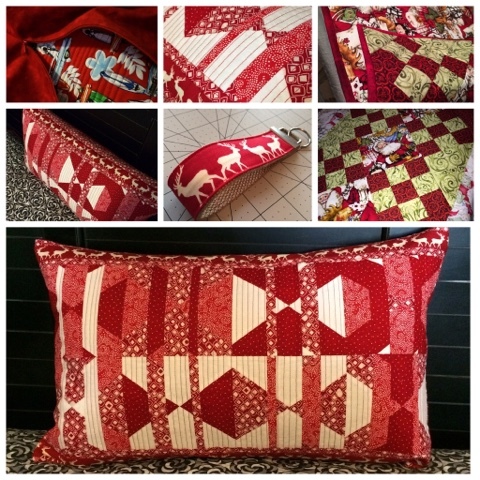 The 16x24" pillow is an original design using a modified Alison Glass Glamp block and fussy cut reindeers from the Postcards for Santa fabric line and stash. 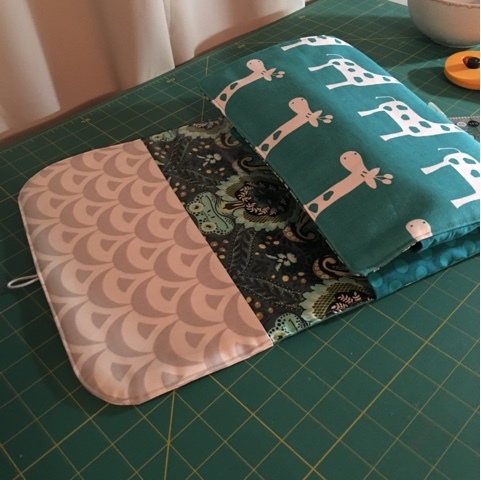 I made a fob and table runner for extras and mailed to be sure it arrived early December for the holidays. I challenged myself by installing an invisible zipper and lined it with beach themed fabric because around these parts Surfing Santa is a tradition. Little M was independantly playing with her Duplo's and said to me "Your sewing is my favorite Nana". She wanted to read to me so I pulled a chair up next to my machine but out of reach of the needle! 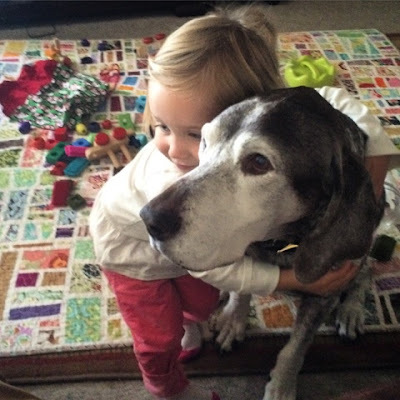 When it was time to bind I invited her to help not realizing Wonder clips are harder to pinch than I thought. She was happy to be in charge of handing them to me. 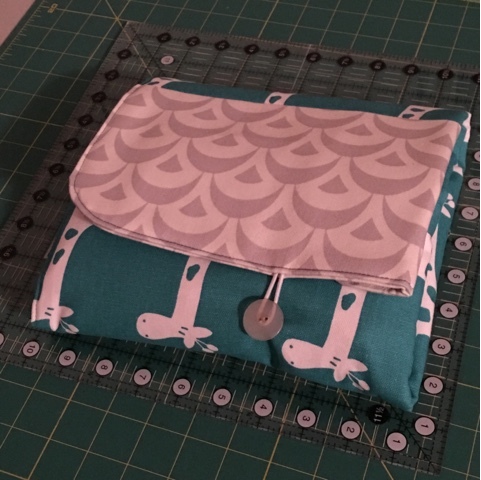 Kelly @scrapstudio coordinator of the swap has been great and is working to lineup an angel pillow for me to receive. As gratifying as social swapping events like #getyourquiltywishgranted can be, there is the risk of frustration and disappointment as well. 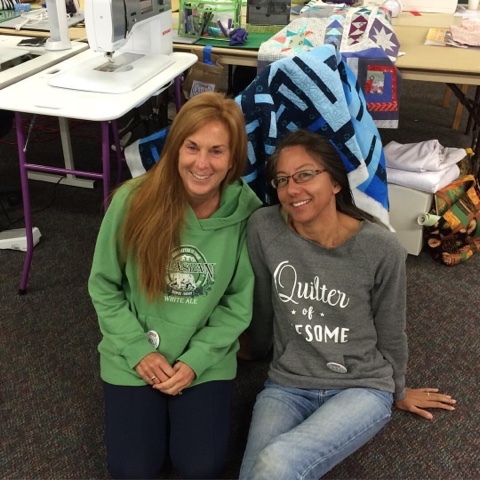 While it is fun to discover new quilters and be inspired by their makes, I'm not sure if I'll participate again anytime soon but am glad I did. Taking a moment to look back is bittersweet. Time escapes me and changes take place that I didn't see coming, even though I should. Look how big my baby grand girl has become. 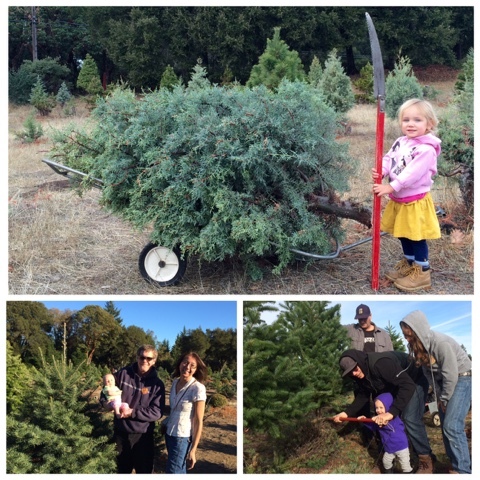 Our third trip to get a Christmas tree and instead of being a snug little bundle she not only helped cut it down, but got to carry the saw. Growing up and growing old are going to happen. 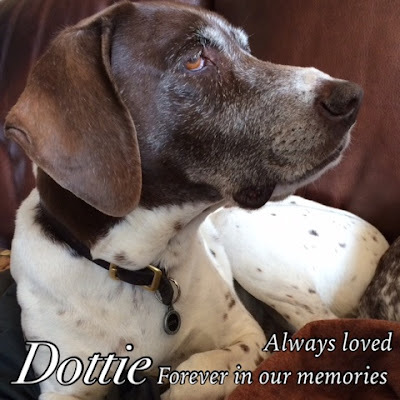 The big void in our family is the loss of our dog Dottie. The house is quiet which says a lot considering we've got a two year old here pretty often. 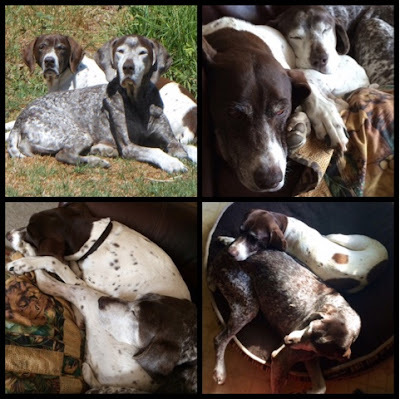 Chase is adjusting to not having her around the best that he can. I just can't seem to update my "about me" tab quite yet. There's been a noticeable decline in any new designs from me since my QDADiversary I did manage to have two become reality - one gifted and one is a WIP. A 2014 New Years Resolution fulfilled. 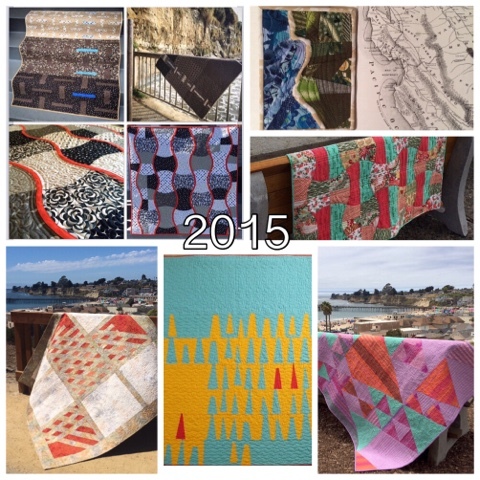 When I stopped in October with 325 designs under my belt, I didn't intend to stop. It just happened. There are a ton that I'm proud of and itching to sew. 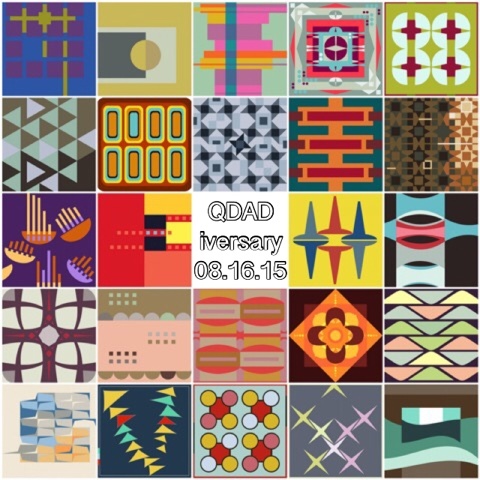 The point and expectation of QDAD is not to make them all into quilts but generating more ideas to sit unfulfilled seemed counter productive and off balance. 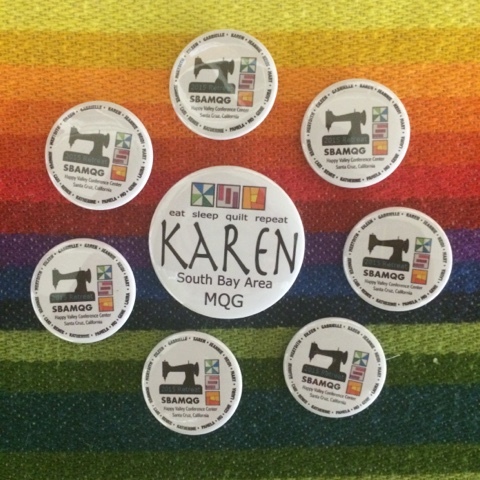 Because of my pause I almost forgot how to use Inkscape but for our guilds retreat I managed a learn how to make our names go around the buttons. Although I do miss being creative on my computer it seems as though I rarely sit at it anymore and use my iphone for most tasks. 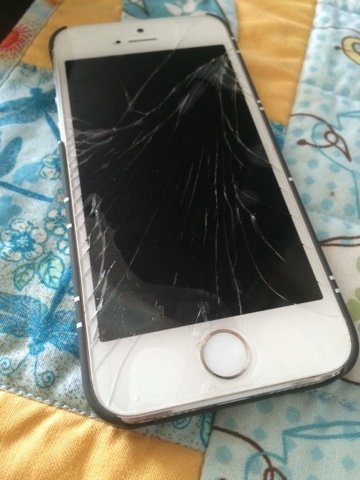 I'll be needing to replace it since dropping and shattering the screen last month. Originally fixing made sense but now the battery is really not holding up I'm just dealing with it as is until I can buy a new one. Maybe I can figure out how to get me blog post font to all be the same when writing it on both devices - ugh. I got caught up in the holiday spirit with this impromptu out of the blue kind of experience that truly warms the heart and makes me grateful to be part of the online maker community. I also rediscovered stash if for forgotten and realized I'm not very up on designers and their lines. Next year I will participate and encourage you to. Thirteen wishes mailed out was going to be a one shot deal but then I kept seeing things I had in my stash to share and loved the spirit of the hashtag. I ended up with two more trips to the post and a total of 21 (I think - I kind of lost count!) There were names I recognized, names that I didn't and even people that I'd met. Initially I wasn't going to post a wish for myself. I didn't want to receive things that might just end up in a pile making me feel guilty. Then I noticed London of Liberty on the feed which I felt was way to big of an ask. Expanded to include voile and lawn, precious squares and large chunks of prettiness from all over adorned my mailbox. Then, when I started working on my sons Parson Gray quilt (again) I remembered that I needed to buy more darks and had tracked down some for sale on etsy and forgotten to actually purchase. Instead of placing the order I did a second Wish and received all that I need. Although I truly do appreciate every bit big and little that arrived a special shout out to Heather in Alaska who curated a bundle for me from her stash. Look at how generous everyone was! Here's to hoping 2015 was a good one for you - and if not, Good Riddance! Wishing you a wonderful 2016! Part two of my year in review series will have to wait for a bit while I link up my official goals for 2016 Finish Along Quarter 1. Stuck as a draft will hopefully not become my new blogging theme. I just adore this link up and have been at it longer than a lot of people I think. It's helped me get things done, stay accountable and discover lots of other bloggers - and project of theirs that I like and start to make creating new WIPs. Full circle like a dog chasing his tale perhaps. I'm recycling and adding to my last mosaic because nothing was finished. I did finish some unofficial items and there was progress on my son's Delectable Mountain -but considering it has been rolling over on my goals list since at least Q2 of last year a few more squares does not feel like a win. 2. GlampStitchalot Mystery Medallion - Really really itching to get back to this before the plans in my head and on my notes are forgotten - or changed. Attendees are posting finished top and they are awesome. 4. Guild Logo Challenge - Tilt Shift: QDAD2Reality - this one is a must as I've promised it for a show next month and just need to quilt bind and put a hang sleeve. 5. Polaroids - These actual polaroid my not make the cut because I have so many cute ones to choose from but it's become ridiculous that my most visited blog post is for a tutorial on how to speed produce them and yet I've been slow to make a project. 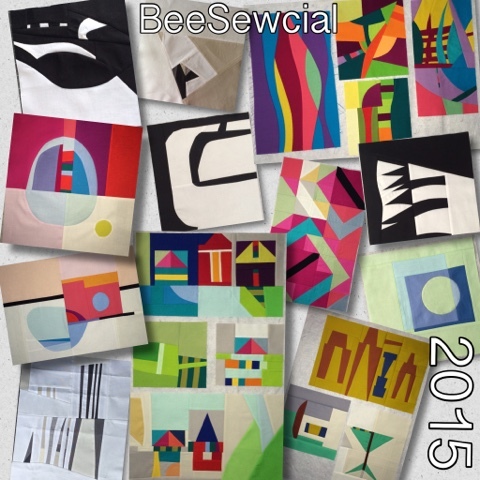 Although I don't cook, Debbie does at A Quilter's Table so I'm linking up on her site. Now I want a doughnut. Linking up to the party HERE - Be sure to do the same and good luck! For me, this year was about Quilty connections and disconnects. 2015 was admittedly an odd year and I don't mean that numerically - it was full of highs and lows throughout. Being active in a creative community locally and online is partly putting yourself out there which in turn means getting knocked down but it also means being uplifted. 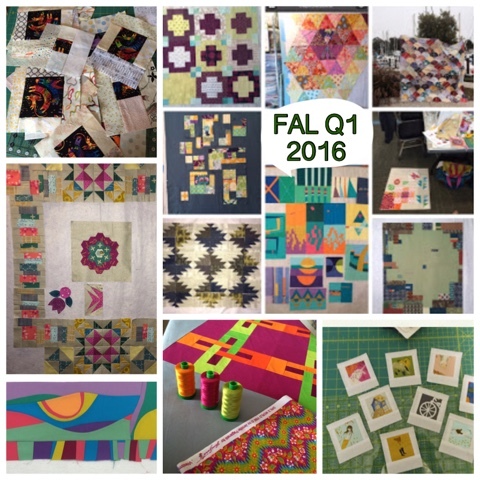 Compared to previous end of the year recaps, the finished quilt mosaic is dismal in numbers. top row L-R: Some firsts for me though include two (Dig Deep and Ripple Strudel) making an appearance at Quilt Market to show off the release of fabric line Luna Lounge My first mini-mini, a map quilt for Anne who moved far away. The baby quilt shown directly below was for Marci who I got to meet in person and then brought so many people together hostessing the after-QuiltCon-pin-swap exchange. 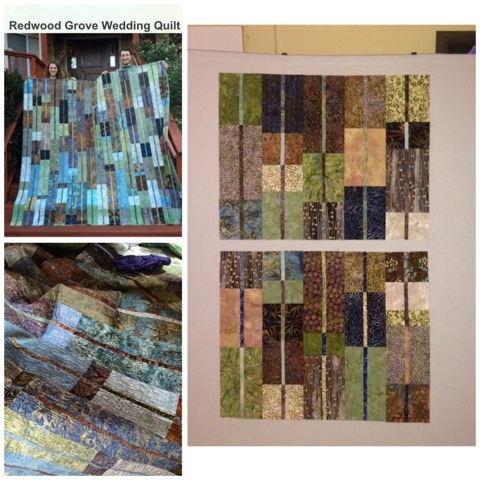 bottom row L-R: My first QDAD (quilt design a day) brought to life, sewn with a friend, for a friend. 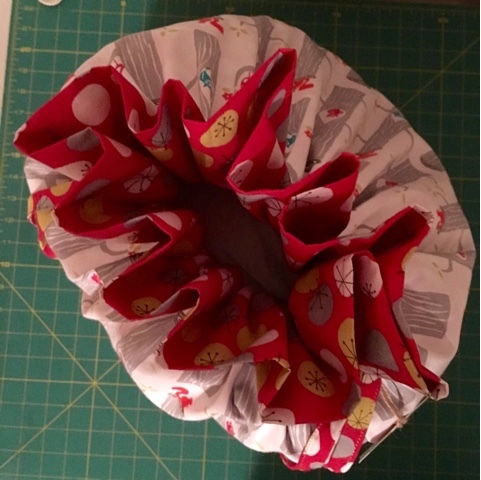 This one was much harder than anticipated and took way longer than it should have but was a great excuse for sew dates with my friend Sue and was well received once gifted. 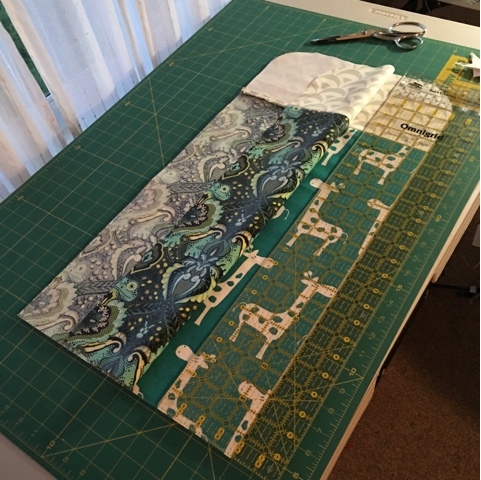 The next, " Castles In The Sand", was nominated for Bloggers Quilt Festival's Best Original Design. Collaborating with Pam was the opposite timeline - started cutting on a Friday and had a finished top by Sunday. It has been donated to a local charity from my MQG to be raffled off. 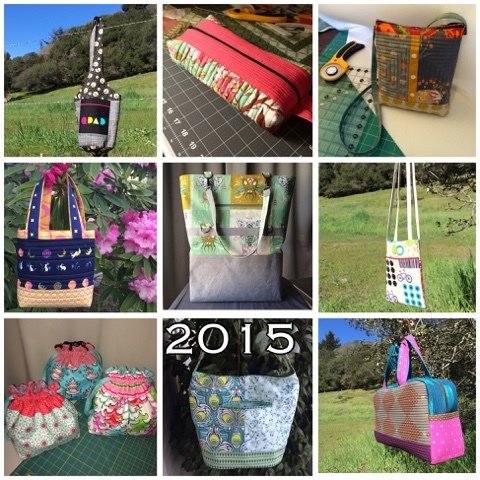 2015 was record breaking bag making for me. I made gifts, swaps and even a few Travel Handmades for myself. Itook on a double welted pocket and didn't blink at zippers (well maybe i blinked but at least i didn't hyperventilate) . 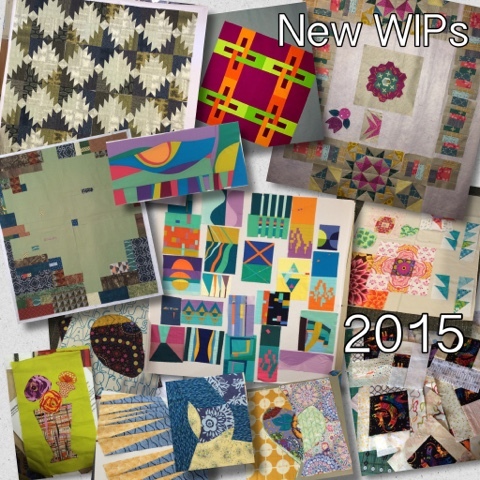 I'm sure there are more started WIPs and goodness knows there's plenty that already existed before 2015 but here's the ones that spring to mind. Workshops were great and I'm hoping to attend even more in the future. Glamp Stitchalot in Ann Arbor MI with 200 quilters and 6 all-star instructors was a lot to take in - and recover from. Sewing and chatting with designers I greatly admire was fantastic and I met so many wonderful people. A Facebook group was created ahead of time and I've been trying to follow attendee on IG. Especially after seeing the progress of others, my mystery medallion is calling my name! Each designer created a t-shirt and I splurged buying the ones by Tula Pink and Alison Glass. My sis treated me to the colorful Tula hardware (upper left pic). 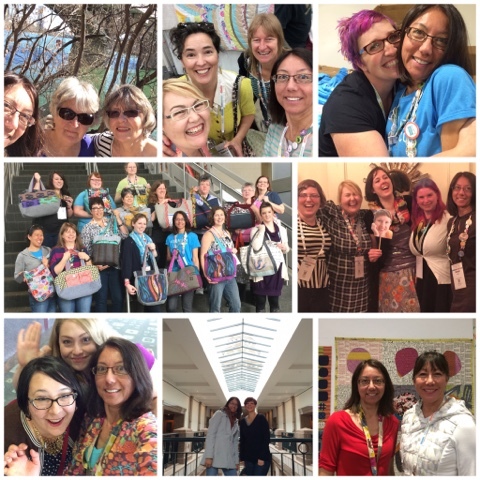 Of course we can't forget that it all started with the kick off of the year QuiltCon in Austin Tx which now feels like a lifetime ago as i head to Pasadena for 2016 next month. I'll be super volunteering and taking workshops again. 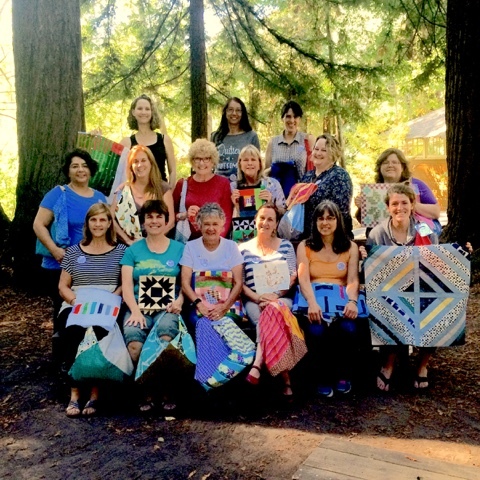 Mid-year, I didn't have to go far to enjoy quilting with my peeps. 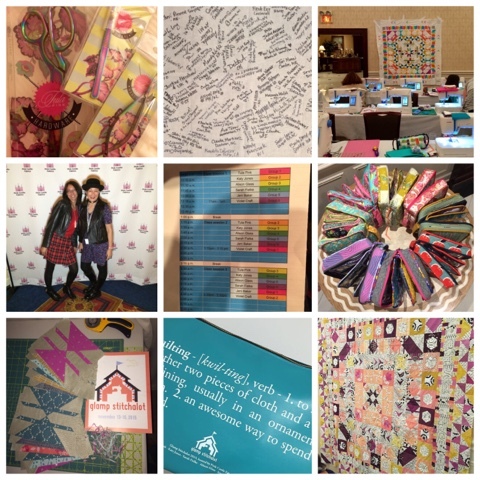 A local Retreat in March and Our 4th Annual SBAMQG Retreat in October did not disappoint. 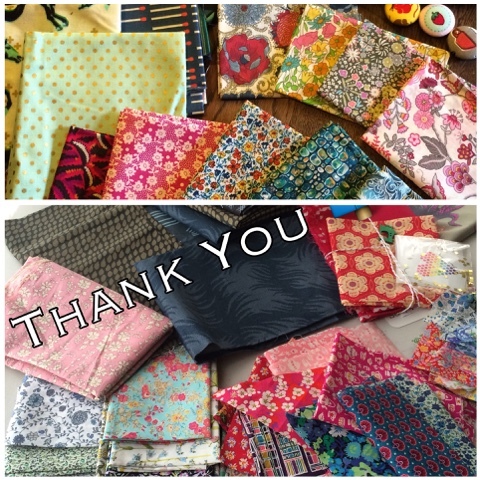 The planning committee and sponsors this year were stellar and we had two gals hostess swag bag sew days who didn't even attend. 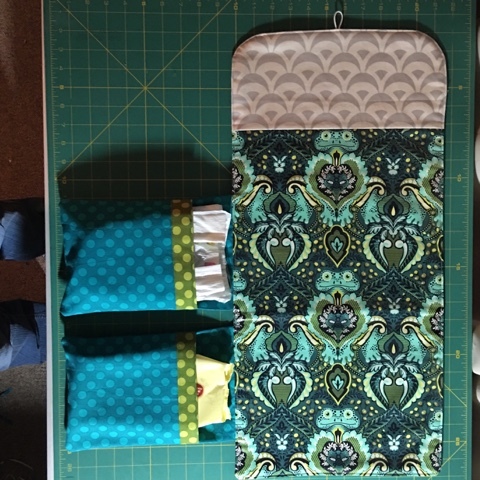 Having my SIL fully hooked on quilting is icing on the cake. 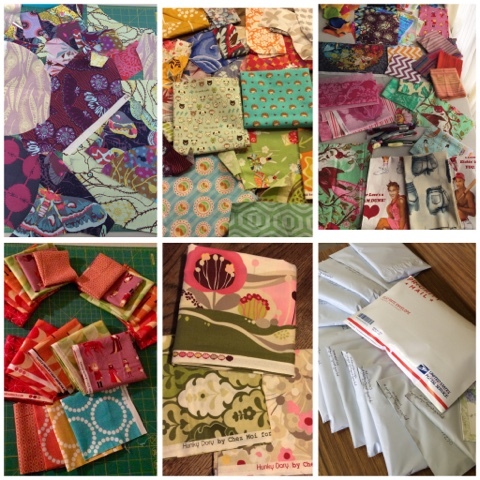 We get to chat and talk fabric with her stash and WIP list relating to me and mine in a new way. Blogging has been a little sparse but I try. Stats tell me I posted 48 in 2015, only down slightly from 51 in 2014. I've long given up on keeping up with 81 in 2013 or the ridiculous bar of 115 when I started in 2012. I'm here, that's what counts. Thanks for being here too! 2015 Recap to be continued. . .